Cargill needed a more efficient way to deliver support to over 1,100 locations in 35 different countries. In addition, the CBT had to be in 8 different languages. The initial project involved New Hire Orientation. 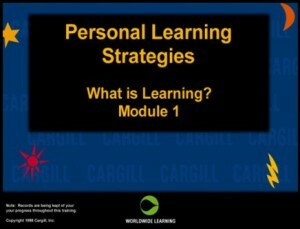 Cargill has delivered hundreds of courses worldwide using this technique. The saving in development and delivery costs have been significant.